Use-case: you’re using AWS VPC and want visibility over the connection to your VPC. Which IPs are allowed or denied connections to certain ports, how much traffic goes through each connection and so on. 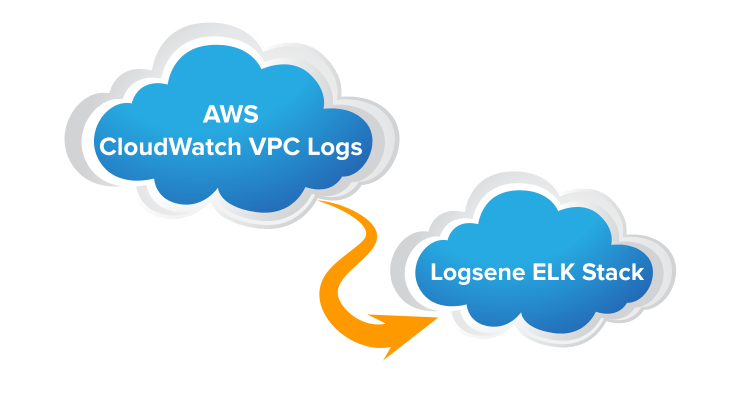 Solution: send AWS VPC logs (one type of CloudWatch logs) to a Logsene application. There, you can search these logs, visualize them and set up alerts. This post will show you how to forward VPC logs (any CloudWatch logs, for that matter) to Logsene using an AWS Lambda function. Then you’ll need to set up a IAM role that’s able to push VPC logs to your CloudWatch account (if you don’t have one already) and then choose a name for this flow. You’ll use the name later on in the lambda function. To enable the function to run when new logs come in, you’d need to enable the source with your Flow Log name at the last step. This blog post is about flow logs, which write to an AWS logs stream, but you link to code that reads from an S3 bucket ( logsene-aws-lambda-s3.git ) not a log stream. How are you getting the log stream to the S3 bucket? Hi: I’m wondering how often the Lambda function actually gets triggered and for how long it runs each invocation? My fear would be that constantly flowing logs would trigger LOTS of Lambda executions, potentially making the cost of using Lambda much more than just setting up a persistent daemon on an EC2 instance. The first run can take a few seconds, because it needs to download the GeoIP database, but then it should be sub-second. The Lambda should be triggered whenever a new batch of logs lands in CloudTrail. I’m not sure how often if happens if VPC is constantly logging, though. It should be cheaper than EC2 anyway, because it’s like paying for a proportional size of an m3 instance (based on the memory you use, e.g. 256MB which should be plenty) for the time it’s being run. So even if it runs all the time (and I think it won’t, though I’d have to test to be sure), it would be cheaper than even a t2.nano. James – if you are already running EC2 instances and you don’t mind running a log shipper on it, that should be cheaper than running the EC2 instances and Lambda. However, a log shipper can typically collect only local logs, and not those from S3 or CloudWatch Logs, which is what this post is about. If you are looking for a way to ship local logs, give Logagent a try – https://github.com/sematext/logagent-js . + i get file apache-log-show.conf but it don’t stay in true directory? + on file conf, maybe i miss some codes to get data or my code is wrong? + apache server i confige wrong which to get log’s data? So i hope you can help me to check and show me where wrong i have in this file. I’m a bit confused, because this is a post about AWS Cloudwatch and not Logstash. Also, in your config you seem to tail Apache logs (as described here: https://sematext.com/blog/2013/12/19/getting-started-with-logstash/) but have the grok rules from parsing Elasticsearch logs (as described here: https://sematext.com/blog/2015/01/19/grok-elasticsearch-logs-with-logstash/). Do you see the posts mixed up, or any other issue with our blog? If not, maybe my comment below helped clarify the issue with your config?